Hey y’all! Just got back from a 2 day photoshoot that I styled (yahii) at Caliraya! Super excited for you guys to see the photos conceptualized and shot by up and coming photographer Kat de Mesa! 🙂 She’s too creative and talented for words! Plus the sets she and her boyfriend made were sooo nice! So watch out for that soon! ANYHOO! I always get side tracked. 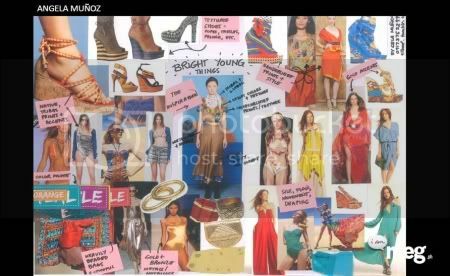 We were given 2 days to check out the participating branches to find the pieces we’d like to use for our collection (my fav part was having the authority to pull out from Topshop, Accessorize, Love Diva, and Rustans, HELLO EXPENSIVE THINGS I CANNOT BUY FOR MYSELF AHAHAHA), 1 day to finalize and hustle last minute pull-outs and changes, 1 day to finalize FINALIZZZEE and rehearse for the fashion show. So last Sunday was THE DAY. I swear, if you were at the dressing room/HQ, looking around…. I believed in EVERYONE, we all had a chance of winning! It was anybody’s game! First to-do of the day was to get the models to hair and makeup: CHECK! 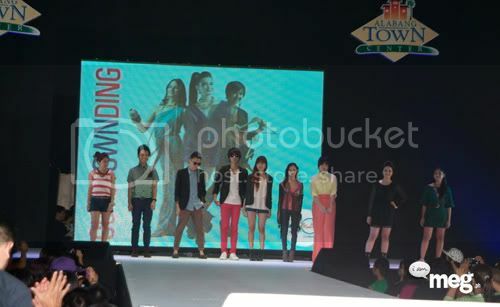 Second, was to pick one model to pose for the Meg Magazine feature the grand prize winner would win. I wanted to go all ANTM and pick a random, opposite place of what my collection stood for, aka the supermarket. I mean who would be all resort-ish and fashown like this while shopping for San Marino tuna? We only got a few shots before the supermarket management stopped us. HAHA! Good thing Anna is such a modelesque girl and we really didn’t need much. AND THIRD, the moment we’ve all been waiting for, THE FASHION SHOOWWW! Here’s some photos from Meg, since I still cant get a hold of the high quality official ones and wanna blog about it already. Hoho. Maho. I was going for clean, crisp, minimalist, and definitely luxury summah! I wish all the girls were photographed individually! Karissa wore an awesome jumpsuit I found from Petite Monde and Hana wore Topshop + Payless! Here’s a group photo..ish. HAHA! Of Nova forgetting to turn to the right! Too funny! But all good fun! Then, each finalist was presented to the worlddd!! Hello world! Why must I be smacking my lips when Meg’s photographer decided to capture my supposedly WOW moment! HAHAHA! Honestly, I just really wanted to place! Everyone was so talented I didn’t know what to expect! “Any place will do”, I told God. Because, I dunno, for me, placing would mean the styling approval of Meg Magazine’s Grace Libero, photographer Sara Black, and SoFA mentor and stylist Luis Espiritu. And that already meant a lot. AND I WON 1st Runner Up! WUHOO! Can you see the joy? I’m so sorry, I think I just grabbed the checked and jumped for joy! :)) Sorry Ms. Grace I didn’t mean to :)) I was too happy! 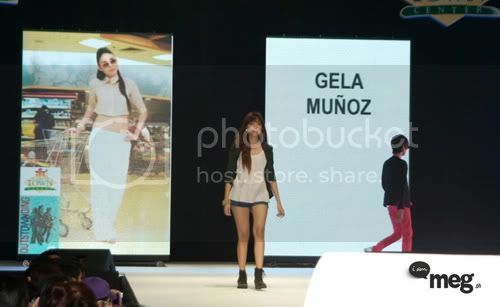 Why do I have to be sabaw faced during glorious moments :))) WHY MOTHA WHY! To top it all off I had the privilege of having my fave makeup artist Julie Profugo do the makeup, Pinoy Wannabe hotties and gorgeous friends be my models (hello Karissa, Anna, Stef, Hana and Nova), my ever fashionable cousin Arianne be my assistant during the fashion show day, and best of all, seeing my friends and family cheering for me at the end of the runway with my little sister holding up a “GO GELA!” poster AHUHUHUHU! AND thanks so so much for everyone who voted and helped with the voting campaign! Y’all so sweet like candaaay! Here’s to more of God’s surprises this year! P.S. 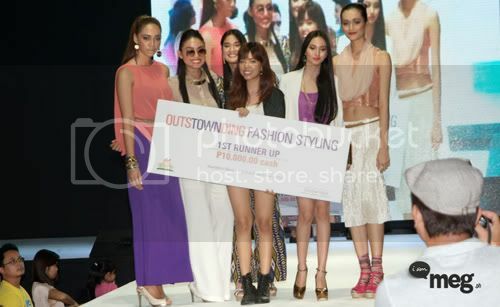 If you want to see all the photos in higher resolution plus more photos from the ATC Fashion Styling event CLICK HERE!